If this speculation is true then it’s just as well TEN and WIN have sealed an affiliate deal. 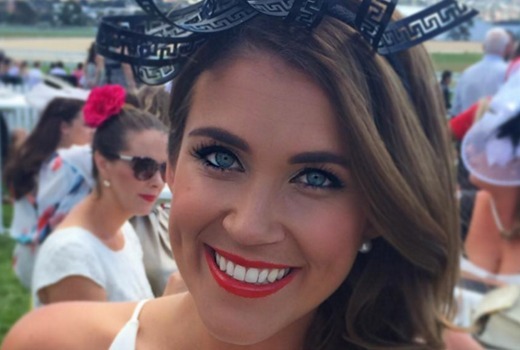 According to New Idea magazine, the next Bachelorette is WIN News presenter Georgia Love, from Tasmania. 27 year old Love is based in Hobart, and describes herself as “possibly the world’s only TV journo to have formerly also been a trapeze artist and dance teacher.” Originally from Melbourne, she has also worked in Launceston. If true it would be a rather surprising move for a news presenter to embark on a reality dating series, given the kind of attention and headlines the show attracts. Of course the Pacific Mags publication also suggests Offspring stars Asher Keddie and Kat Stewart “can’t stand each other” …..so make of that what you will. Updated: Network Ten is proud to introduce Australia’s new Bachelorette, 27-year-old Victorian journalist Georgia Love. “My whole life, I have put my job and career first but have always felt something has been missing. I’m now at a point where I’m happy with where I am at in my career and I’m ready to prioritise love,” Georgia says. You can take the ? away now DK, The Hobart Mercury (at the least) has confirmed that 27 year old ex-WIN newsreader Georgia Love is Channel Ten’s The Bachelorette. Finished up on Friday, relocating to Sydney for a few months to shoot the show. Ten tweeted this morning that the next Bachelorette is indeed Georgia. Still wonder why Bruce Gordon is a billionaire? (“I’ve got a great idea on how to get our figures up in Tasmania”). Maybe that was Bruce Gordon’s bargaining chip. Hey Ten give us a lower rate and I’ll provide the next Bachelorette.